(CNN) Canada has confirmed a 14th case of unusual health symptoms experienced by diplomatic staff in Havana, Cuba. Cuban ambassador to Canada Josefina Vidal criticized the decision to cut staff as an “incomprehensible” move that “fuels speculation.” “This behavior favors those who in the United States use this issue to attack and denigrate Cuba,” she said. She emphasized Cuba’s cooperation in investigating the symptoms and affirmed the country’s commitment to good relations. 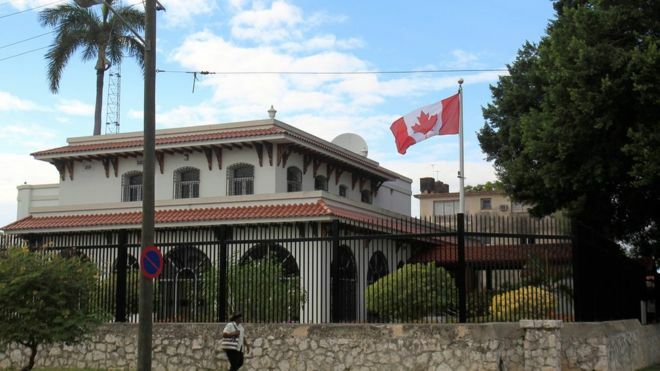 The Canadian statement said that after the last confirmed case of unusual health symptoms in November 2018, a number of Canadian diplomatic staff in Cuba underwent additional medical testing. In April, Canada pulled all nonessential staff and diplomats’ family members, after testing concluded that their diplomats also suffered from mystery symptoms that included dizziness, ringing in the ears and memory loss. The Canadian government said Wednesday there is no evidence that Canadian travelers to Cuba are at risk. U.S. Magazine Uses Retired Cuban Spy As “Source” For Story On Internet Freedom In Cuba – They Believe Him! The decision taken by the Canadian goverment was the correct decision. Cuba has been a de-stabilizing factor against the interest of the free world, especially the US and by taking their personnel away from Cuba, the Canadian government is condenning Castro’s regime actions. I am surprized and I am asking myself why are we bashing Maduro and not also the Cuban regime. The Cuban regime is overtly acting behind each of Maduro’s actions.